Dermal fillers are a popular and versatile way to take years off your face, add volume, and smooth wrinkles in many different areas. If you’re considering dermal fillers, you may be dissatisfied with certain areas of your skin. While different areas of the face are most common, dermal fillers can treat many areas. These are the most common areas that are treated with dermal fillers. Cheeks: For those who have lost volume in their cheeks over the years, dermal fillers are an effective solution to fill out the cheeks, add plumpness and restore youthful features to patients. Eyes: Dark bags under the eyes are often accentuated by lines in the tear troughs that give eyes an aged and sunken look. 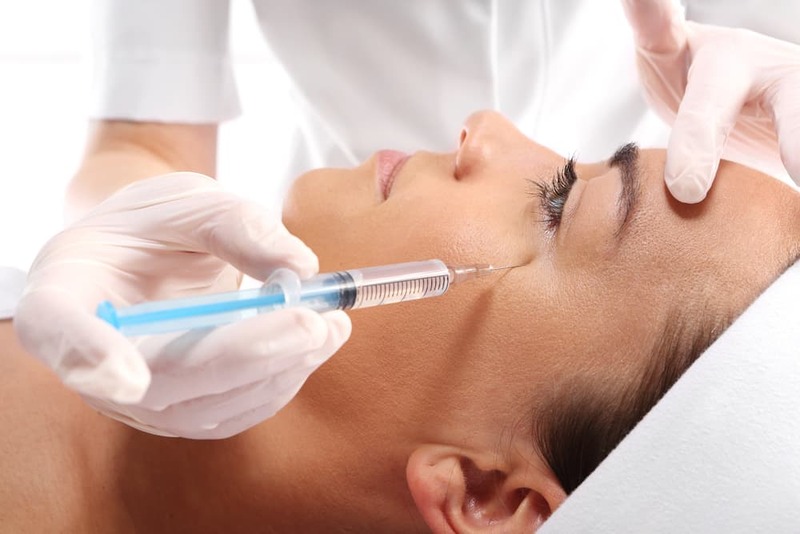 Dermal fillers can be used in different areas of the eye to make the area more pronounced and smooth. Lips: Lips are one of the most well known areas to receive dermal fillers. Whether used as an injection in the lips to make them plump, or around the edges to provide more definition, dermal fillers can either bring lips back to their former glory, or add a little something that you wish you always had. Chin: Many people are unhappy with their chin and jaw line and turn to dermal fillers to define their jaw, or even smooth out a crease in the chin. Many people use dermal fillers in the chin area to have a non surgical solution to an area that is often reserved for surgical procedures. Marionette Lines: Lines around the mouth are one of the most common facial wrinkles that can age a person significantly. Dermal fillers do a great job of smoothing out these lines, leaving patients looking as youthful as they feel, as wrinkles are filled and skin is returned to the plumpness of its youth. Smile Lines and Crows Feet: While some people take smile lines as a badge of honor of a good life, sometimes the years can add to their appearance, taking away from the smiles that left them. Dermal fillers are a great solution to fill these lines and give patients something to continually smile about while looking in the mirror. Smokers Lines: The vertical lines that form above the lip from years of smoking, or drinking through straws can significantly detract from an individual’s appearance. With the help of dermal fillers, these lines are filled, restoring the youthful appearance of the upper lift. Nose: Those who aren’t fully committed to a nose job can seek refuge in the use of dermal fillers to correct any bumps or imperfections. This is an easy way to have a perfect nose, without undergoing invasive surgery with a long recovery time. Hands: Your face may be looking young, but the hands can reveal the true age of an individual as the skin becomes thin and wrinkled. The use of dermal fillers can help to restore a young appearance to the hands, leaving the true age of a patient their own little secret.